Super bowl spot for Gore Verbinski's 'Rango', featuring the voices of Johnny Depp, Isla Fisher, Abigail Breslin, Bill Nighy, Stephen Root, Ray Winstone, Beth Grant, Ned Beatty, Harry Dean Stanton and Alfred Molina. 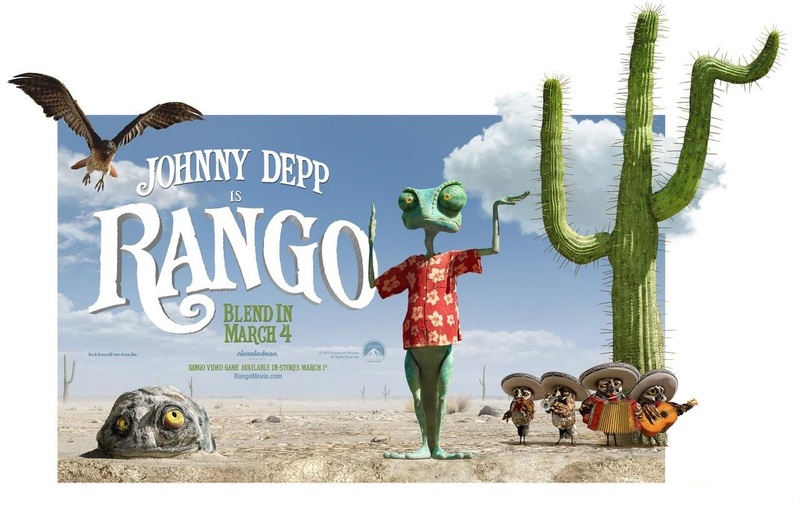 Rango is a chameleon that aspires to be a swashbuckling hero finds himself in a Western town plagued by bandits and is forced to literally play the role in order to protect it. It has a March 4th date for the US and UK but for us in Ireland we will hav to wait till 8th of April.